For some important newspapers and magazines the news of the Day 26 is that, in spite of the announced US withdrawal after the transfer of authority to NATO of the air campaign in Libya, American planes have conducted air strikes attacking Gaddafi’s air defenses. After US handed over command of the Operation Odyssey Dawn (named Unified Protector under NATO), along with providing surveillance and air-to-air refueling operations, USAF and USN planes performed attacks on Libyan SAM sites to take out what remained of the Libyan air defense systems. The news should not come unexpected because, among the US assets under NATO command, there are also 5 EA-18 Growlers and 6 F-16CJ that are capable to perform SEAD strikes (for a description of a SEAD mission please read the first daily debriefs on this website). Hence, NATO has no need to request the US military for additional planes to fulfil a role that, actually, is not characterized as a ‘strike,’ because the suppression of air defenses is considered a defensive mission. 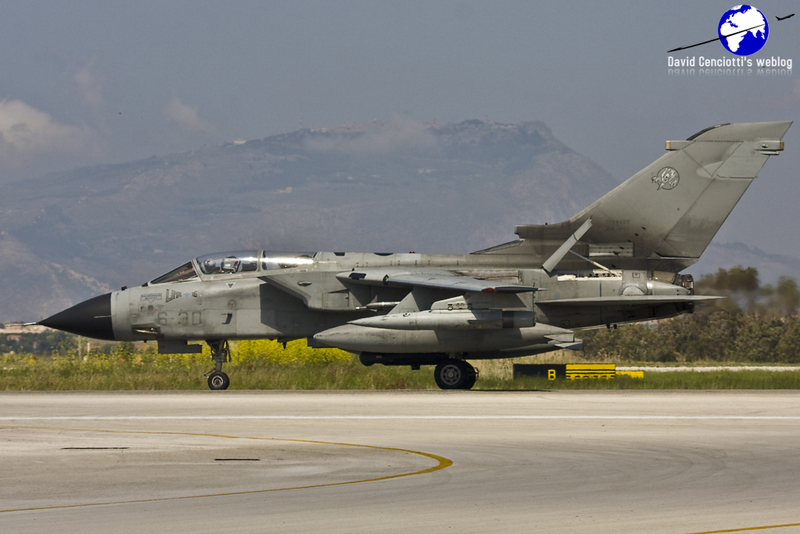 For instance even Italy, performing SEAD tasks with the Tornado ECR of the 155° Gruppo deployed at Trapani (for more details, please read the Day 25 Debrief), considers this type of mission defensive rather than offesive. Therefore, NATO can issue Air Tasking Orders (ATOs) without any special request because F-16s and EA-18s are under NATO command and control, and no special request is needed to release the aircraft for operations against mobile and fixed regime air defense systems. Since Apr. 4, when the change of command took place) the US SEAD planes have flown a to total of 97 sorties and, on 3 occasions (on Apr. 4, 6 and 7), they fired ordnance. Noteworthy, the strikes took place at the beginning of the NATO operations, when the risk posed by SAM and MANPADS was probably higher than it currently is. Dealing with the US SEAD assets it would be interesting to know if they are flying mainly at night. In fact, visiting the Italian Task Group at Trapani I’ve noticed an intense activity by the Italian Tornado ECR during daylight and, provided that the SAM radar activity decreased since the beginning of Odyssey Dawn, maybe the SEAD tasks are shared, in these days, in the following way: the Italians perform the task mainly during the day, while the Americans fly the same types of mission, preferably at night. Since Apr. 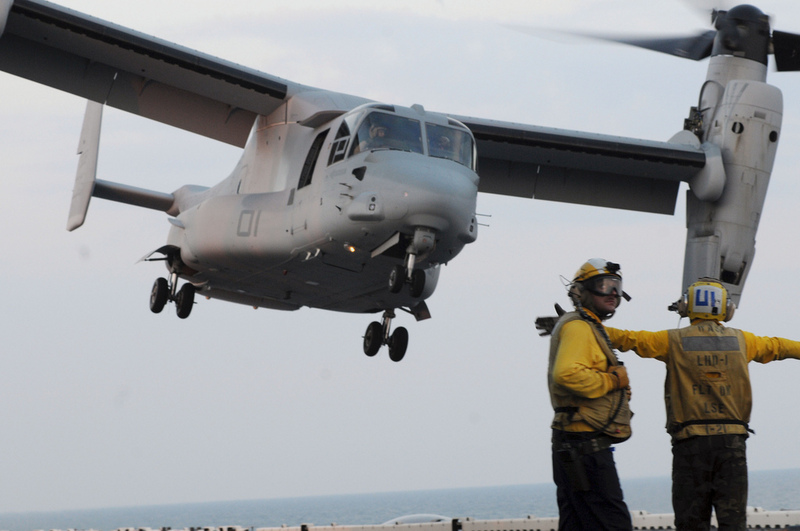 1, US aircraft have flown 35 percent of all sorties, 77 percent of all air-to-air refueling sorties and 27 percent of all intelligence, surveillance and reconnaissance sorties, US Marine Corps Col. Dave Lapan said. Along with tankers, spyplanes, drones, etc, American CSAR assets are in the area as well as maritime patrol planes and USN ships. More in detail the current US Orbat for Unified Protector/Odyssey Dawn (some assets are still operated under US command) as reported by the NYT: one guided-missile destroyer; one P-3C Orion maritime patrol aircraft; one EP-3E signals reconnaissance aircraft; 22 KC-135 tankers; six F-16CJ aircraft; five EA-18G attack aircraft; two E-3 command and control aircraft; two EC-130 signals and communications aircraft; two RC-135 reconnaissance aircraft; one U-2 high-altitude reconnaissance aircraft; one E-8 Joint Surveillance Target Attack Radar System; two MQ-1 Predator unmanned aerial vehicles; and one RQ-4 Global Hawk unmanned aerial vehicle. The “disclosure” raised questions among those who didn’t know the US planes were still striking ground targets, if needed. Other described the SEAD capability as a “unique capability” of the US military, a statement that is clearly wrong, or at least not completely correct. For example, the Associated Press wrote: “Italy and other nations are also participating, but defense officials said such missions [SEAD one] are considered a unique capability that the U.S. can perform”. 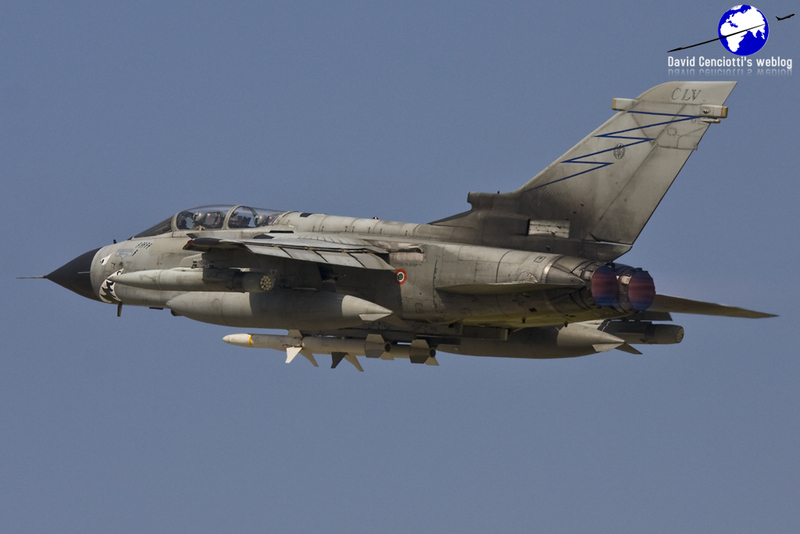 That’s not true because, as explained many times in the previous debrief, the Italian Tornado ECRs are some of the few specialized SEAD platforms operating in the theatre and there are no other aircraft with the same capabilities currently available (EA-18G aside). For sure, the Growler can do something more, that is to say it not only detects and destroys radar sites, but can also actively jam Libyan signals rendering the radio and radar equipment unusable, however considering SEAD a unique US capability is a twist. The SEAD “revelation” came on the day after some Governments urged NATO and other partners to intensify strikes against the Libyan government forces, complaining about the reduced American role in the conflict even if, so far, the DoD has not received requests for additional firepower or to resume air strikes with those assets currently in stand by status. 1) NATO conducted 153 sorties (58 air strikes) on Apr. 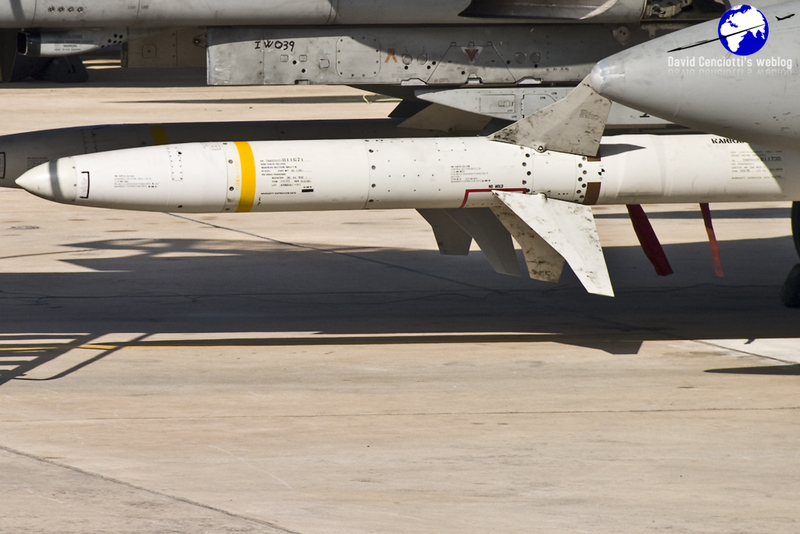 13, bringing the total to 2.191 sorties and 890 air strikes. Among the key targets engaged on Day 26, 13 bunkers, 1 Tank and 1 Amoured Personnel Carrier destroyed in the vicinity of Tripoli, and 3 Multiple Rocket Launchers destroyed in the vicinity of Brega. 2) The Swedish Air Force released some interesting information and pictures about the first mission performed by the JAS 39 Gripen over Libya on Apr. 8. 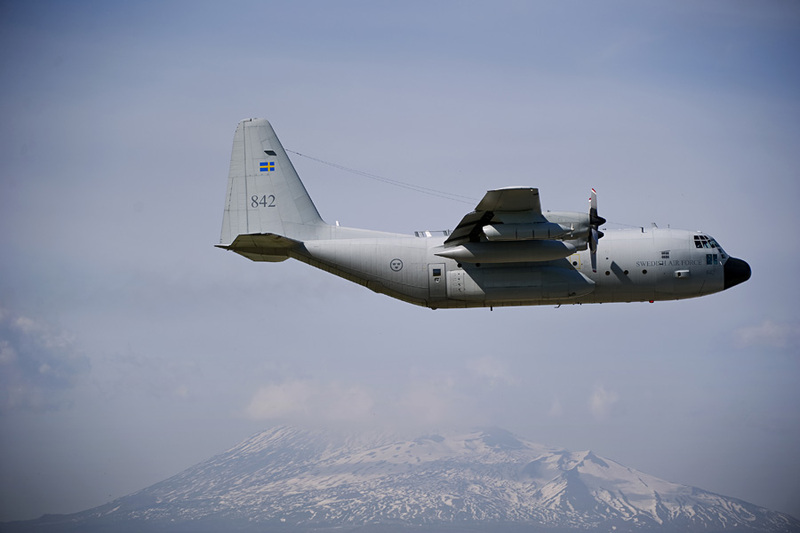 The two fighters, using radio callsign “Tiger 37” departed from Sigonella airbase at 15.55LT along with a TP84 (C-130) tanker using c/s “Mighty 65” (later spelt “Mity”). After refueling at FL100, the two Gripens entered the Libyan airspace to enforce the No-Fly Zone and returned to “Saigon” shortly after 18.30LT. 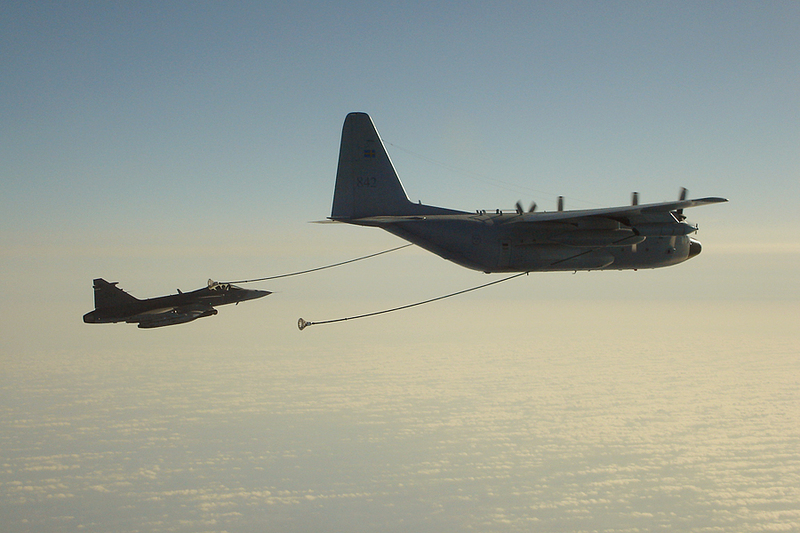 It was the very first mission with Swedish fighter jets in more than 50 years. 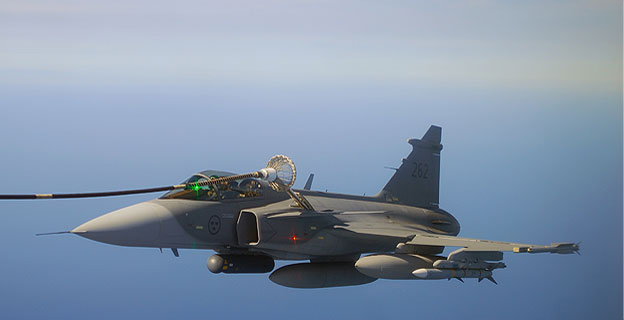 Interestingly, as noticed on other aircraft involved in the enforcement of the NFZ and not in the air strikes, even the SweAF Gripen flew with a Reccelite reconnaissance pod. 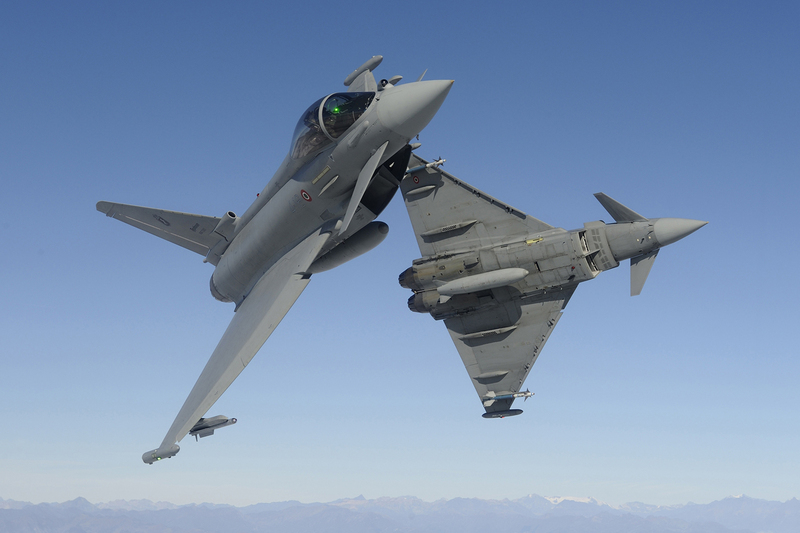 3) The Italian contingent in the last 24 hrs flew 9 missions (2 acft for each one): 3x AV-8B, 3x Tornados (both ECRs and IDSs) and 3x Eurofighter Typhoons. 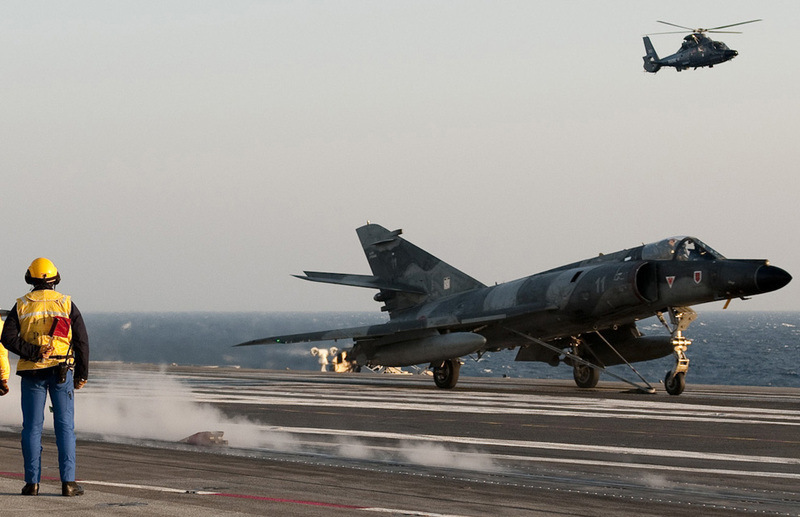 Since they are flying “reconnaissance and air defense missions” according to the MoD, I think that even the AV-8B+ Harriers of the Marina Militare are flying their sorties with air-to-air missiles and Reccelite recce pods. 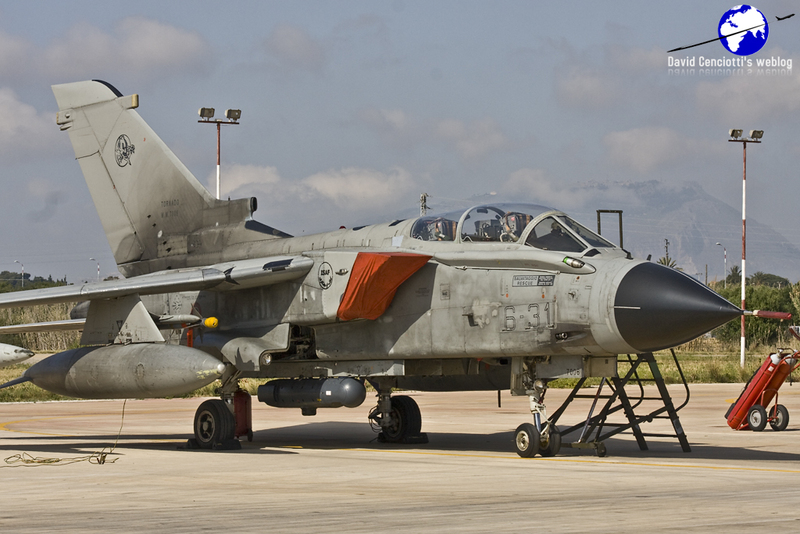 Below, some pictures of the Tornado IDS equipped with Reccelite at Trapani airbase on Apr. 12. 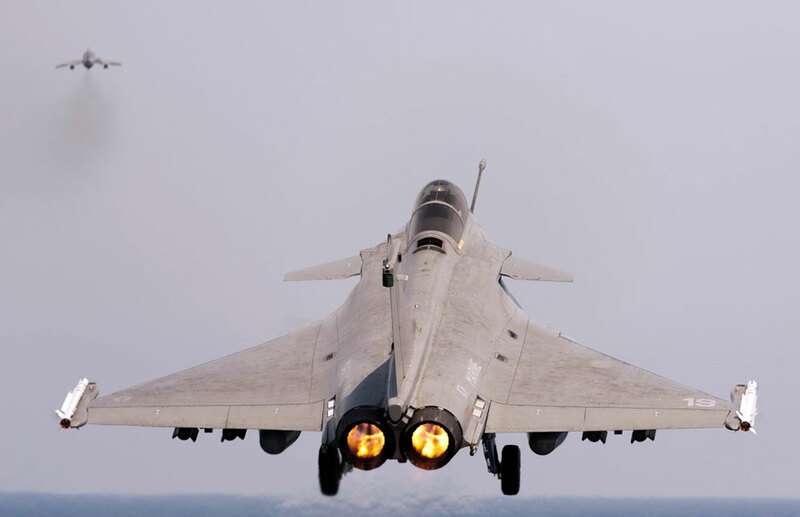 4) The French MoD is no longer updating its website with the daily reports of missions and sorties flown by the FAF and FNy.